Pictured: Minister of Urban and Rural Development, Peya Mushelenga addressing member of Iiheke yaNakele community committee. URBAN and Rural Development Minister, Peya Mushelenga, engaged the community committee members of Iiheke yaNakele over the illegal sand mining activities in the area. 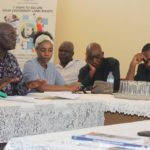 Mushelenga urged the community committee to lodge their complaints regarding the ongoing sand mining with the relevant institutions, as his ministry have nothing to do with the matter. 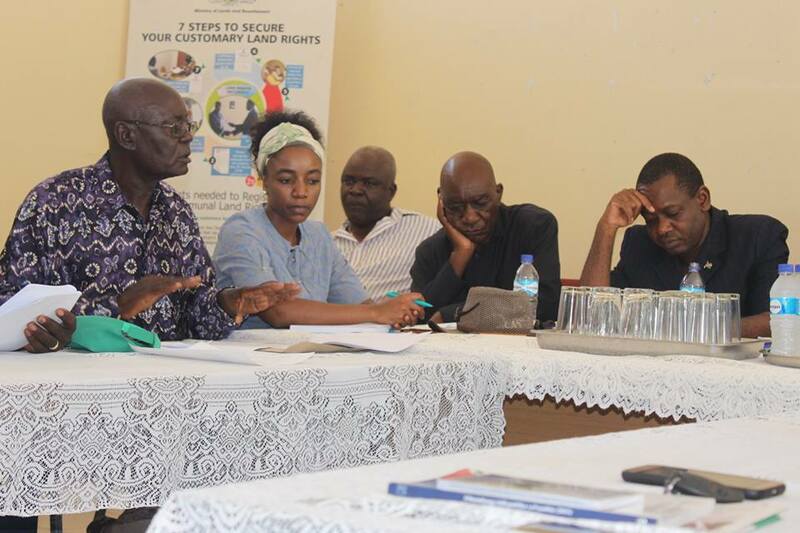 The committee, which is led by Lukas Nantanga as its spokesperson, held a meeting with Mushelenga at Uukwangula settlement in an attempt to convince the minister to intervene in the sand mining dispute. The committee wants the area of Iiheke yaNakele to be declared a protected area and the environmental certificate granted to the miners to be revoked. Nantanga told Mushelenga during the meeting, that mining at the Iiheke yaNakele cultural site is causing destruction to the area and natural resources might be lost in the process as the area has underground water that is easily accessible to community members. According Nantanga, the site is a historic source of underground fresh water for human and livestock consumption and a site where quality clay for traditional pottery are collected from time immemorial. He stated that community members surrounding the Iiheke yaNakele in the Uukwambi Traditional Authority of the Oshana Region are not happy with the way sand is being shipped out of the traditional community for years without any economic benefits for them. Nantanga said that several villages – Ekamba, Oshuulo, Onenongo, Olulongo and Ondangwa – with a total population of over 3 000 were for the past 25 years deprived of their local economic benefits as a result of the mining of sand at Iiheke yaNakele. Furthermore, they blame the Uukwambi Traditional Authority for allowing the environmental clearance certificate to be granted to the miners, who are shipping out sand from for commercial purposes without the consent of the community. “Iiheke yaNakele requires protection by law. It requires to be accorded conservancy status in accordance with the National Heritage Act of 2004, because it contains one or more specific natural features which are of outstanding inherent rarity,” Nantanga explained. According to Mushelenga the request being made by the committee are not for his ministry, but for other institutions such as the Ministry of Environment and Tourism and the National Heritage Council. “Government has ministries each with its job description. I only came here upon the petition I was given and I contacted the Minister of Environment and Tourism as he also got the petition before coming to meet with the committee,” said Mushelenga. He advised the committee to approach the Ministry of Education intervene and other relevant Ministry as his ministry has nothing to do with the matter. Mushelenga however admitted that the Act state that Traditional authorities should protect natural resources, but it can be done through requesting the National Heritage to intervene.